In early 2014 we made a big decision for our little yet-to-even-be family. 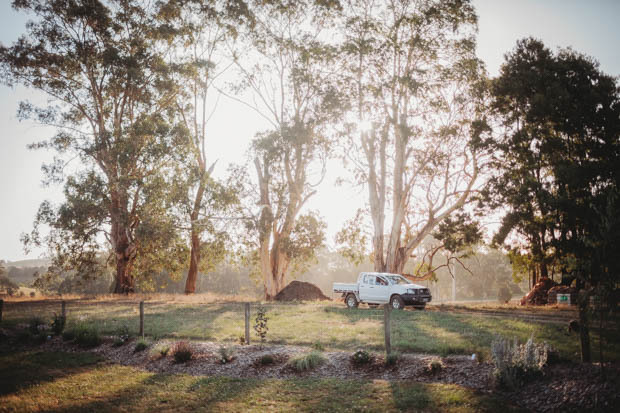 At the time we were living and working in the sandy hills of the Limestone Coast in South Australia, on a sheep and cattle property in a big old limestone farmhouse near Padthaway. We were an hour to town and I was pregnant with our first baby, I didn’t know a soul in the area (the state, even). An opportunity knocked…back home. It was to be a huge change for us though, a sharp turn left and a bit of a leap of faith: off-farm work. Huh… Wait, what? We decided that Matt would work off-farm as an agribusiness relationship manager with Rural Bank (then Rural Finance). Talk about a plot twist. I did not see that one coming, but welcomed a new opportunity and lifestyle change. We had always lived and worked on farm, managing other’s properties (such is life being young in agriculture, unless you’ve got a couple of mil in your back pocket?!) We saw, and had accepted, this as our pathway in the industry. 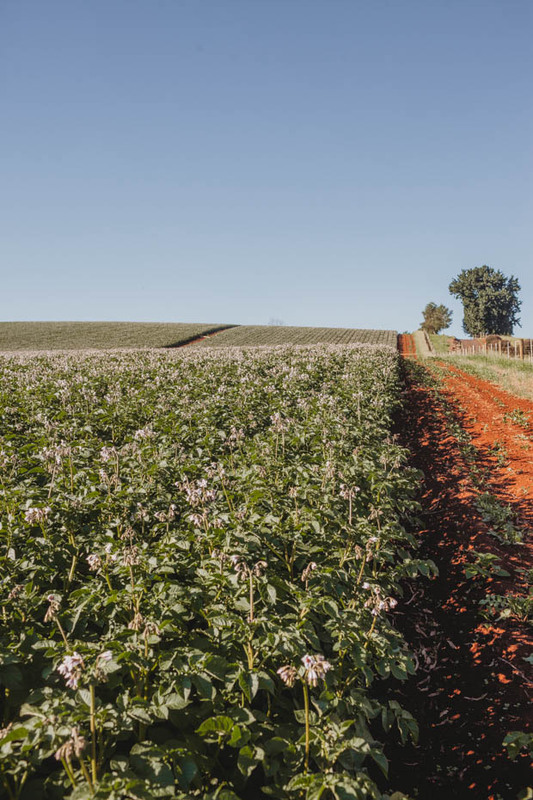 Working in agribusiness off-farm had definitely always appealed though – to challenge and push and grow lots of different skills, to meet new people and mentors and be involved in something bigger than a private farming enterprise (although that definitely has it’s advantages also). 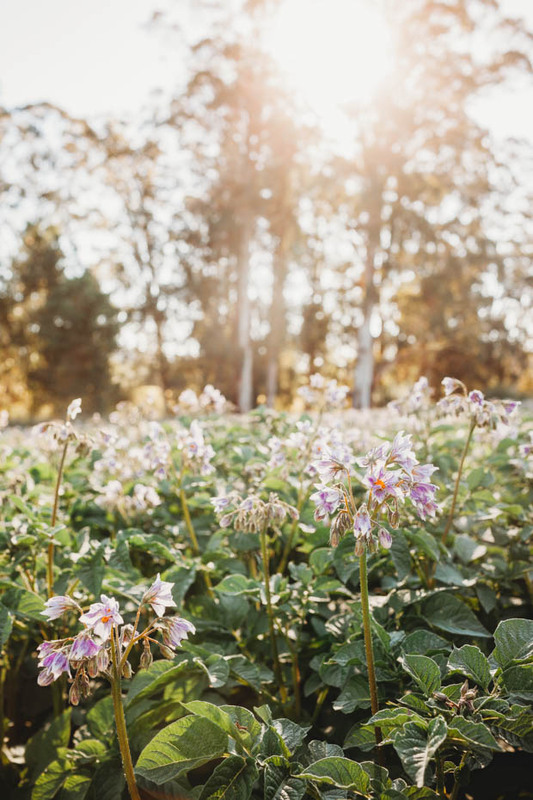 Working in ag doesn’t just mean being a farmer, there’s a thousand different pathways you can take, and we thought perhaps it was time to explore these. 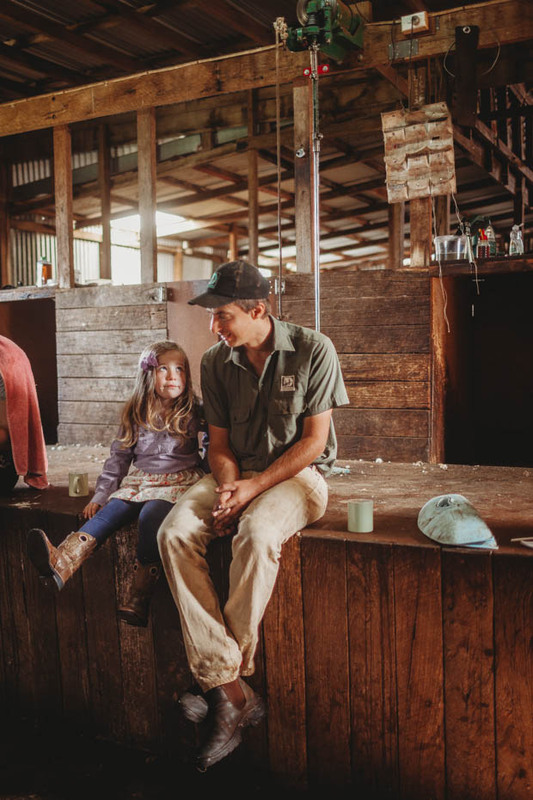 For the past four and a half years, in the throes of raising very young children, Matt has worked in an off-farm capacity in agribusiness finance. And he has excelled. He won’t like me saying that, privately or publicly, but it’s true. His attention to detail, head for numbers, perfectionism, passion for agriculture and genuine love for the farming families he called friends as well as clients, agri-finance suited him to a tee. He is extremely hard-working, persistently driven, has a simmering ambitious streak and is stupid amounts of humble. He lived and breathed his work. But we always knew it was for but a season. Whilst Matt has worked off-farm, we have lived on my family farm since we moved home from South Australia in 2014. We also lived here in this house in 2010-11 when we both worked in my family’s business. This is where I grew up, our wedding was held next to our ramshackle little house here, our girls are fourth generation on this farm. It is definitely where we saw our future. I am the youngest of four children, with none being interested in the farming business my father has spent his life building (my brother runs his own, as well as Dad’s, transport business). I just happened to marry a man incredibly passionate about agriculture, yet was not the son of a farmer, quite the anomaly. You can do the maths and see what made sense. Last year, we questioned and re-evaluated a lot of things – what we were doing day in day out, that daily grind stuff I’m sure lots of people and couples and families question. Where were we spending our time and energy? For whose gain? Particularly when we had a young growing family and as we entered our 30’s… What were we doing? Where were we going? What was the end goal here? When we wake up in ten years time with grown children, what would we have told 30 year old Matt and Emma? Every day Matt drove out the driveway of the farm, to a job he loved and was fulfilled by, but also felt the pull to come ‘home’ to farming. It was time to strip things back to basics and return to our core values: raising some good stock, growing some good produce, and now taking our little girls along for the ride. Simple is always, always, best. The decision to come back to farming, wasn’t done lightly though. We didn’t want to make any decisions about our ‘next step’ lightly, no matter what they were going to be, we just knew that the timing was definitely right for us to make a step of some kind. We could have done lots of different things, but whatever it was, we needed it to be something for ourselves – not to benefit somebody else or a big corporate. As it has turned out that step has been back into the family business – sheep and potato farming, produce trading, packing and transport. A huge factor of returning to farming was that we felt the time slipping away of the girls growing up, we didn’t want them to grow up without Daddy on the farm. That’s not how we envisaged raising our children and was very, very, very important to us. Daddy leaving the farm everyday whilst the girls were left to tractor rides with other people and feeding shearers without Daddy with us just didn’t sit right. That’s not how we wanted to raise our family and live our everyday. So we choose farming. It’s not an easy choice, but it is the right choice (for us). We are incredibly fortunate that my family’s farming enterprise can accomodate Matt, his skills, his strengths (and weaknesses) and what he has to offer in a fairly dynamic and multifaceted business. We are well aware that a lot of farming family situations don’t have this luxury. I have always maintained my farmers wife ‘title’ (for want of a better word) as I really believe it’s much more than a ‘position description’. Just like farming – it’s not a job, it’s something that is very deeply ingrained in you, hard to describe, impossible to deny (as stupid as it is some days!) Even though my husband was technically not a farmer whilst he worked in finance, that’s not something that ever really leaves you. So, I have still called myself a farmers wife over the last five years. It’s a huge part of who I am. I know a lot of my community here at She Sows Seeds are also farmers wives, so I am probably preaching to the choir…but, you get it. Like. really get it. And I am learning that if you don’t get it, you never will and that’s not my problem. I need to stop explaining myself and our family’s choices. This farming caper is ludicrous to some, a passion to others and important to everyone. Now we get to be a part of that ‘something bigger’ we really felt was missing in our family’s story. Now, when Daddy is late home, it’s ok, we understand wayward irrigators and burst pipes, we understand lambs that need to be weighed, we understand late trucks being loaded. Even if others don’t, we get it. And the best thing is that we get it together. That’s possibly what I’ve missed most about Matt working on-farm: the camaraderie and teamwork that comes with the farmers wife title (agribusiness relationship manager’s wife doesn’t quite do the same…) I definitely felt disconnected and adrift from Matt’s work over the past five years, compared to what we were used to: living and breathing our farm management roles. We have been ships in the night rather than working together like we were used to. We most definitely know in farming there are many lows, hopefully a few good years thrown in, a few more lows to even that out and then a few flaming curveballs hurtled at you. But all of those things will be ridden together, that’s what this next chapter for our family means. More togetherness, even though Daddy may still be working long hours, we’re all in it together. So, a new phase of life has begun for us this year in 2019 – coming home to roost to farming. It will bring with it a fairly big lifestyle change, but it also feels completely natural and the right next step so hasn’t been much of an adjustment at all. 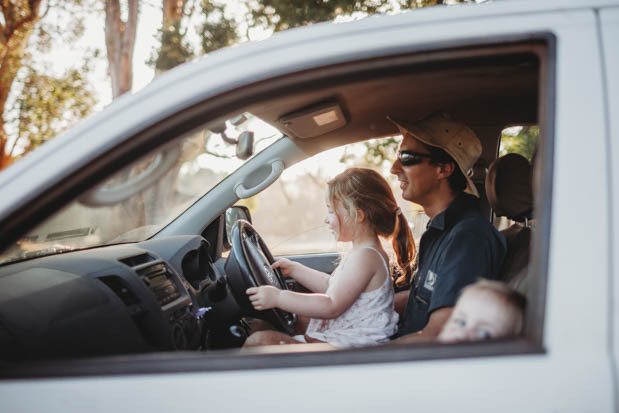 Daddy comes home of an evening and either throws the girls in the ute for a driving lesson or trundles down to the creek to check a pump. We can go and visit Daddy at work whenever we like (well, within reason, spud season hasn’t cranked into gear yet!) and the girls are witnessing first hand hard working parents having a crack, and hopefully the reward which that brings. A vocation such as farming often chooses you, rather than you choosing it. It’s so much more than a job. We feel lucky to be able to choose this life though, even though it may mean one step backward for two steps forward sometimes, we know we’re working towards something as a family, something bigger than a nine to five pay cheque. Something of value and worth beyond ‘work’. And that has always been, and always will be, the goal. I’ve been thinking about your post a bit here and there… and now I feel I MUST comment ha! I do totally get the farming together and what that means… I don’t think I can ever actually express it properly with the passion and purpose it deserves. But you have done that so well! I was going to ramble on about me for a bit and my farming life yada yada yada….. but ya know… this story is about you, Matt and the girls and your farming lives. I think it’s great you guys have settled back here and have found your place. I wish you all the very best crack at it all! We are so blessed and fortunate to come from farming stock, are we not?!? What an awesome post, Emma … articulated so beautifully, driven by both your head and your heart. Thank you for sharing. I wish you, Matt and your two sweet daughters all the very best in your new/somewhat familiar lifestyle adventure with all of its best rewards. I wouldn’t mind a sheep and potato farm myself! I’ve been longing for this post. My dad was a farmers son and worked off-farm for 20 years before buying a very small acreage which he ran like it was 10 times the size. He kept his job and his “hobby-farm” was much more than that and he had some of the best lambs and oaten hay (which we stooked by hand alongside him) in our district. His on-farm life was only a short one but I always saw him as a ‘farmer’ and call myself a farmers daughter. Even when we didn’t have our own property he was always helping mates and family at peak times. We helped with feeding friends shearer’s and I love the smell of a sheep truck passing by. My husband is the same. Sadly his brother who is on-farm never made room for the little bro to join him as had been his fathers wish. But the Mallee dust is in his blood. He IS a farmer. I see a sadness when his brother talks about harvest or shearing and know that he aches to have been living that life. But as a man who doesn’t hold grudges, he is content with the path we have taken. I keep encouraging him to think about his next career step and see a pull back to the land either in agriculture or horticulture, but am content for him to remain my at-home parent as long as this feels right for him. Thanks as always for sharing he glimpses of your life in the red dirt hills! That’s too bad about hubby’s farming situation, but oh so familiar I’m sure for a lot of family farms. So unfortunate. That’s what I mean when I say we are very lucky…we could easily be not so lucky, I try and be quite concious of that. Stay at home dad seems to suit him so well too though! And I can feel it in my waters that you guys have that pull, doooooo it! Jump! You go girl. And Matt. And your girls who are the next generation of farmers. Australia needs young farmers otherwise who is going to feed us? Wo is going to produce the milk for our whanky coffees? The ingredients for our meals? (Either eaten in or out, they still require ingredients!). Everyone needs a farmer. Everyone should be thanking a farmer every day. Thanks so much Judy – you’re so right 🙂 Encouraging young people into agriculture is something I’m passionate about, even if it can be a bit doom and gloom…I’m trying to counter that! Maybe?! I so get it and I’m so thrilled for you that you guys have made this decision for your family. Keep being awesome. From one farmers wifey to another…. There’s nothing better than a family that farms together. Exciting times ahead for your family team; I look forward to following your farm adventures.